Its been a while since I read this book!!! But wanted to tell everyone who hasn't read it, YOU SHOULD!!! I was looking at old reviews I've done on amazon and remembered this book!!! It was so cute and adorable! I got rid of mine on bookmooch a while ago, but if you haven't read it, please do!!! Summary: Lisi has never been kissed. Sure, she could practice on her guy friend, Johnny, but he’s like a brother to her! 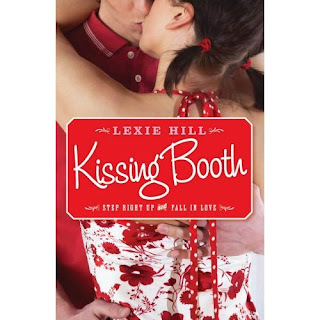 So when it comes time to pick a theme for the Spring Carnival booth, Lisi suggests a "Kissing Booth," hoping it will give her the chance to get a cheek-kiss from her crush, the handsome, popular Brett. But on the day of the carnival, as rumors fly and kisses are stolen, Lisi discovers that the person she should really kiss may have been right in front of her all along.